Cornelia discovered the joy of practicing yoga in the summer of 2004 while living in Michigan. The more she practiced, the stronger her desire to learn grew. In time, she discovered that she not only loved the practice herself, but had an innate passion to share it, leading her down a path toward the many, many certifications she holds today. Cornelia is by far our most highly trained instructors and her deep love and enthusiam for the practice led her to complete training programs in Hatha Yoga, Ashtanga Yoga, Vinyasa Yoga, Chakra Yoga, Restorative Yoga and many other workshops on different yoga styles with both local and world renowned instructors. 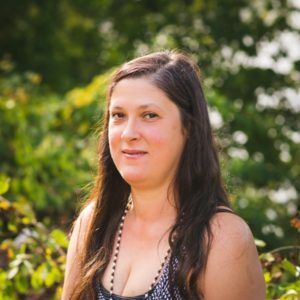 Cornelia will tell you that she is very thankful to have been able to study with wonderful teachers, such as Shiva Rea, Sean Corn, Natasha Rizopoulos, David Swenson, Dominic Corigliano and Rolf Gates, and aspires to become a reflection of their teachings. The fellow members of her teaching team at the studio will tell you that she is an endless source of yoga knowledge and will frequently go to her for her advice or guidance. She is also a similar asset to our Windsoul Yoga Teacher Trainees, leading them through classes in vinyasa sequencing and safe assists and adjustments. Cornelia teaches classes for all levels, from Gentle to Vinyasa Yoga, emphasizing the unity of body, mind and spirit created through pranayama, asana and meditation. When you attend her classes, expect that she will challenge you, and she will do so with a knowledge and kindness that will help you to develop a deeper understanding of your body and a feeling of accomplishment within your practice that will leaving you seeking out her classes again and again.